Hey y'all! It's Heather here today! Today, I'm sharing a fun card I created using the new Lava You stamp set! To create my card, I stamped the volcano outline. Then, I added the solid images to the inside of the stamped lines. 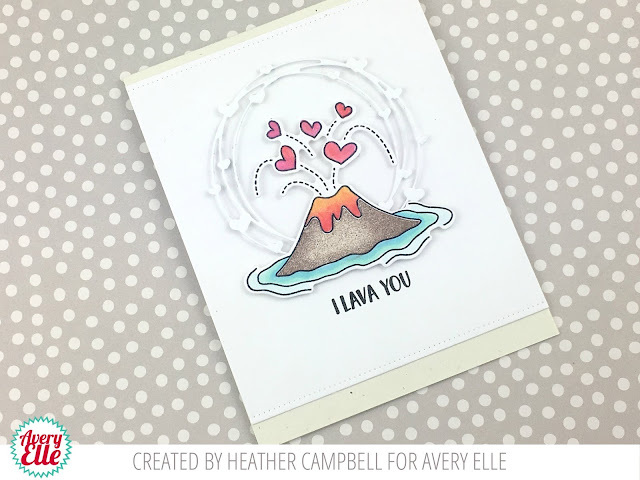 For the lava, I thought it'd be super fun to create it two-tone. 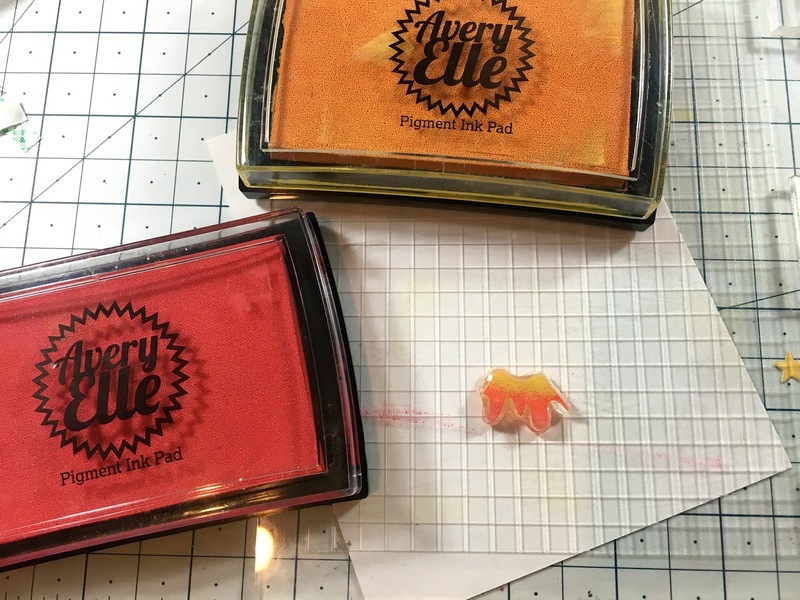 To do this, I inked up the entire stamp in the lightest color (here it's the yellow) than I went back and dabbed the ink pad carefully onto the stamp on the bottom portion only with the darker color (red). You can see how it looks awesome on the stamp! 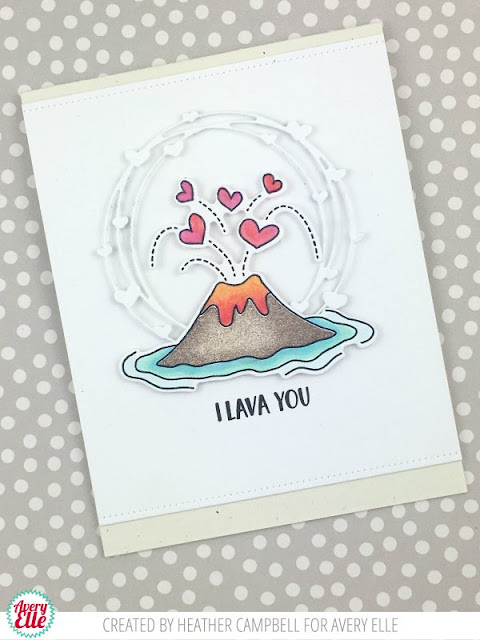 I had so much fun with this technique, I actually ended up using this same technique for all of the stamps - including the volcano! 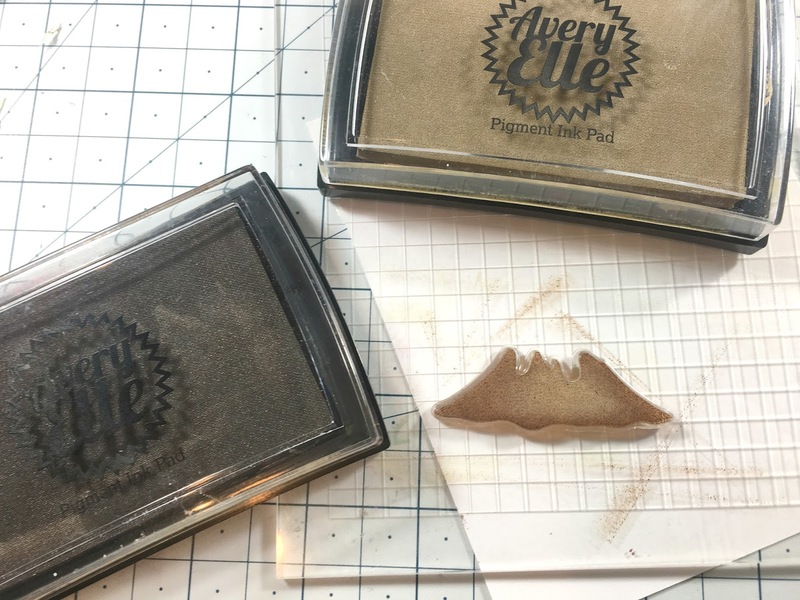 This is definitely one of those fun techniques that can really be fun! Thanks so much for stopping by and sharing part of your day with me! Have a great one!